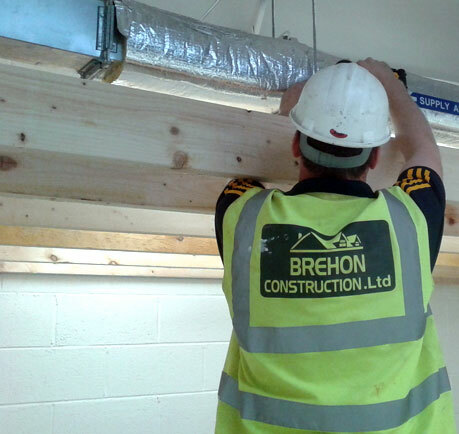 Brehon Construction Limited is an established family run company which is innovative in providing a wide range of services in all aspects of construction. We are accredited by CIF, CIRI, SEAI and ECSSA this gives you our client, independent assurance that we at Brehon Construction Ltd comply with the relevant and imperative building regulations and building standards. Customer care and reliability is at the core of our thinking. We are fully aware that our success depends upon the quality of our service so we commit to quality in every area of our work. Each project begins and ends with an absolute dedication to hard standards and workmanship and is seen through to the end with the client to the priority. From a one off family home to a large commercial unit the team at Brehon Construction are committed to high quality at every level. Each job is important to us and our proven track record and excellent reputation is inherent in our diverse reputation. We recognise an ever changing and progressive industry; hence we are constantly developing our services to accommodate tomorrow’s needs today.